It's time to load up the family and a few friends to enjoy the great outdoors with inside comforts when you need it. This Palomino Puma 295-BHSS allows the kids to have their own private bunkhouse to play games, tell stories, and sleep at night. 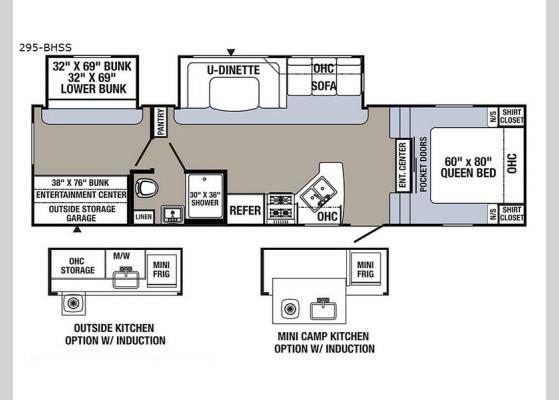 The main living and kitchen area is centrally located between the parent's front bedroom with space savings pocket doors, and the kids' rear bunkhouse. Now imagine yourself outdoors cooking for the whole group when the sun is shining. 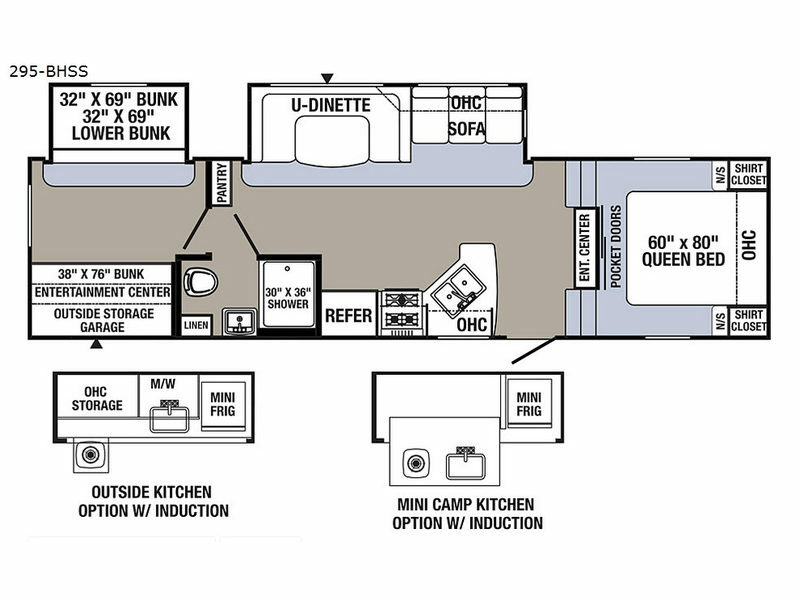 You have the choice of adding an outside kitchen or mini camp kitchen option, both with an induction cook-top in place of the outside storage garage. If you enjoy your own bedding, outside adventure, and traveling anywhere you want to go, this Puma is perfect for you!